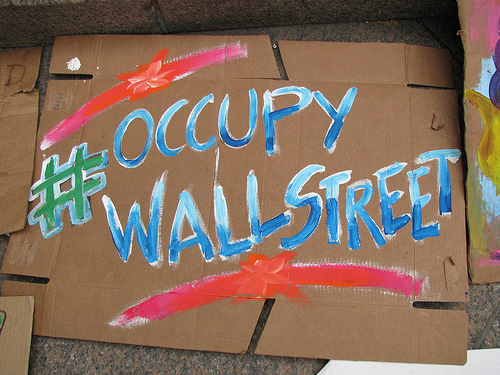 The current protests of Wall Street have brought about a domino effect, as cities across the United States have joined the cause to protest their own financial districts. The current protests of Wall Street have brought about a domino effect, as cities across the United States have joined the cause to protest their own financial districts. We’re joined by Jed Brandt, co-editor of The Occupy Wall Street Journal, Bruce Little, an Occupy Wall Street protestor, Lexie Mountain, Baltimore artist and Occupy Baltimore organizer, and Cullen Nawalkowsky, a founding collective member at Red Emma’s, and a part of the media team for Occupy Baltimore.